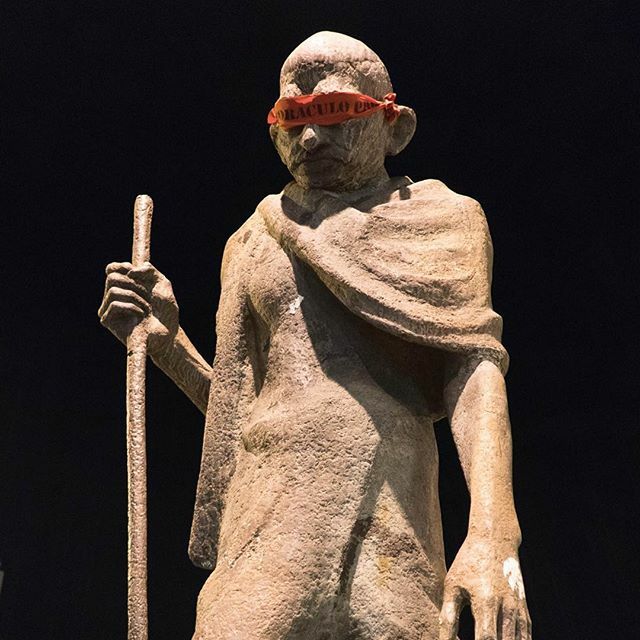 During the countrywide political protests on Sunday, March 13, art also made its stance. In São Paulo, the event was concentrated on Paulista Avenue, where the bold 1960s architecture of the MASP (Museum of Art of São Paulo) served as backdrop for millions of selfies witnessing the momentous march. 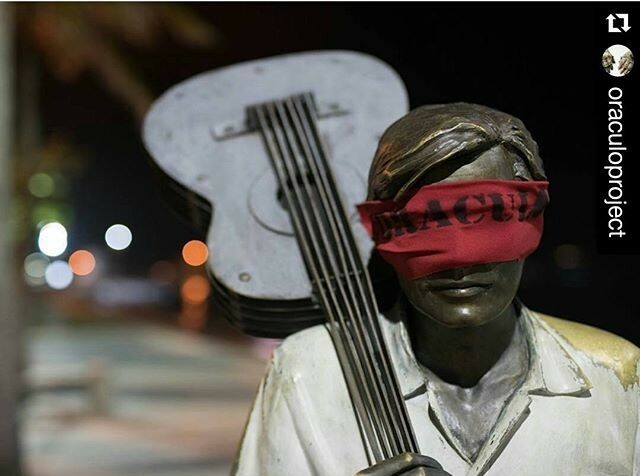 But it was in Rio de Janeiro, which held the day’s second largest protest, that art conveyed a silent but powerful message about the government of president Dilma and former president Lula, the mythic leader of the PT (Workers Party) who is now implicated in the country’s biggest-ever corruption scandal. 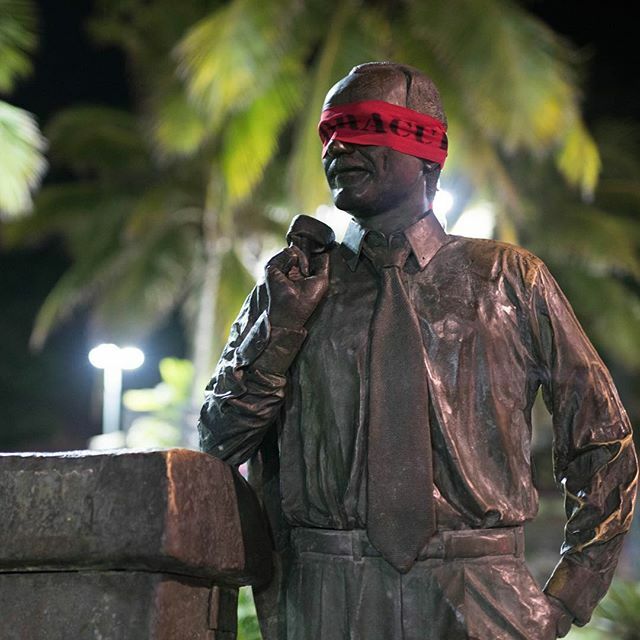 The anonymous artist who, since 2010, works under the Oraculo Project insignia tagging cities around the world, went into action in the wee hours of the day, blindfolding one-hundred statues of historical figures in Rio’s streets, public squares and parks. Rio’s municipal law 38.307/2014 states public-space interventions that do not damage historical monuments are legal and no previous request is needed. On Instagram, he posted: “The Oraculoproject would like to make clear that project does not take side on any political party activities, it’s against corruption and believes in a new ‘road’ to construct a better future.” The action only missed out on the 200-foot-tall Christ the Redeemer crowning Rio’s Corcovado mountain, world-largest 1930s Art Deco statue towering over the city, and now for many symbolizing a blemished Brazil. May the good winds blow.